After visiting the construction zone in our own backyard, the boys were ready to try out some messy play. 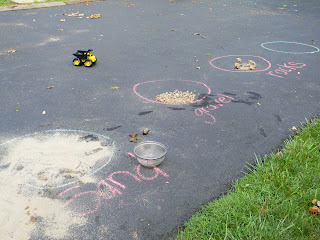 We hauled dirt and rocks using the dump trucks and then we started sorting it. We used a sifter to sift sand and gravel. 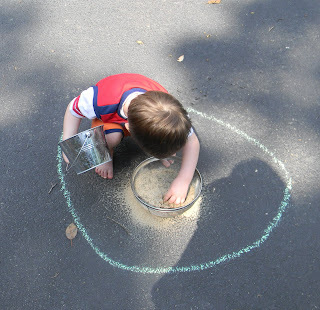 We put each one into a circle and then labeled with sidewalk chalk. We also found some big rocks.We put those in their own circle. We tried hitting the big rocks to see if we could make some of them into gravel. 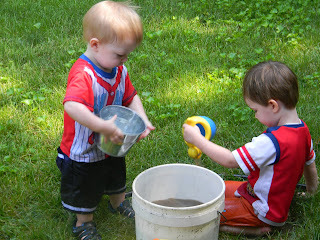 We sorted out dirt. 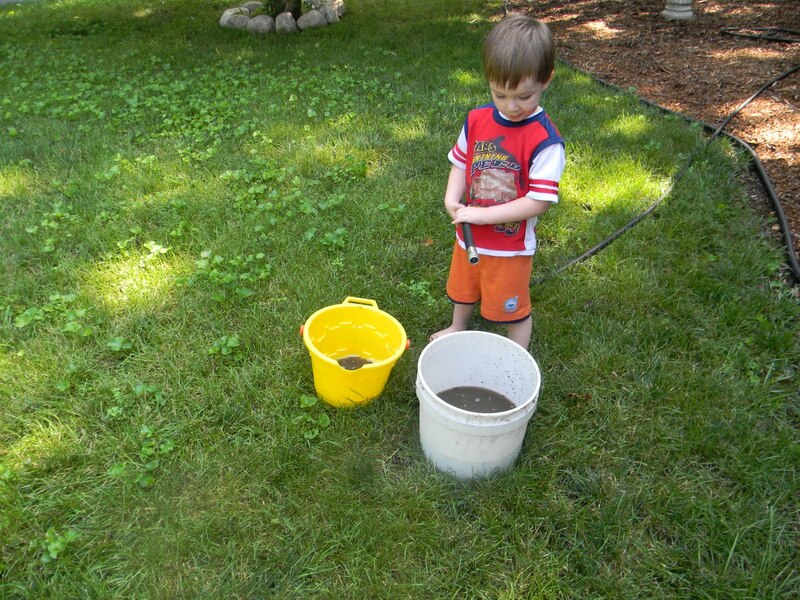 Then we wondered what would happen if we added water to the dirt. This muddy water was the highlight of the day. Well, cleaning up and running around the yard naked was also a highlight. Sorry neighbor. Section 2 of Literacy Beginnings by Fountas and Pinnell discusses building language. They suggest providing children with experiences on topics that interest them. They explain how teachers can model language while the children are playing. 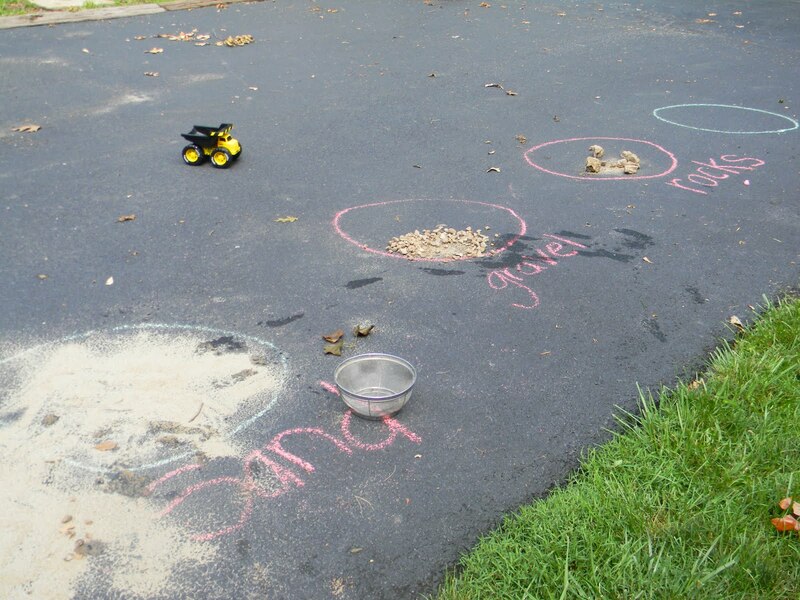 For instance, we were able to learn new vocabulary like sand, gravel, rocks, dirt (some old to Logan but new to Tyson). I was also able to model descriptive language like small and large or rough and bumpy. During our play, I modeled wondering about making mud. In school and in life, children will need to be able to seek information. 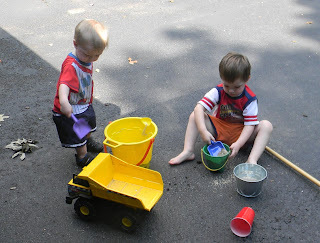 Fountas and Pinnell explain that this type of play is intentional vocabulary instruction. 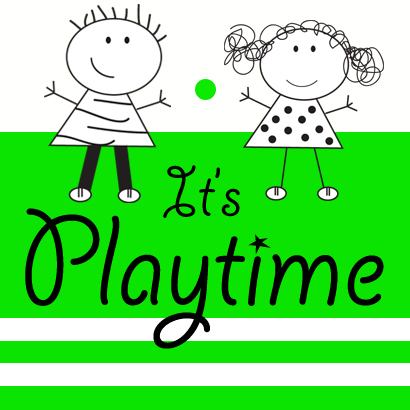 Instead of choosing an unrelated word of the day, try integrating new vocabulary into your child's play. This looks great. I love all the helpful hints you give in your posts. 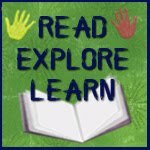 We just did a traveling story hour and put a blog link to your list! You have wonderful suggestions. Hooray for mud play, rocks, and Mike Mulligan! 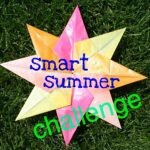 Thanks for linking up and sharing. Fun stuff! I have not read this book yet. I'll have to check it out at the library this week. Have you read Dazzling Diggers? It's a great construction book with a lot of rhyme. Lovely to tie in a play idea with what Daddy is doing. 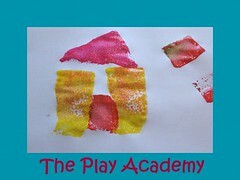 Thanks for sharing with the Play Academy.